London! Cops! The supernatural! Author Paul Cornell! What do they all have in common? 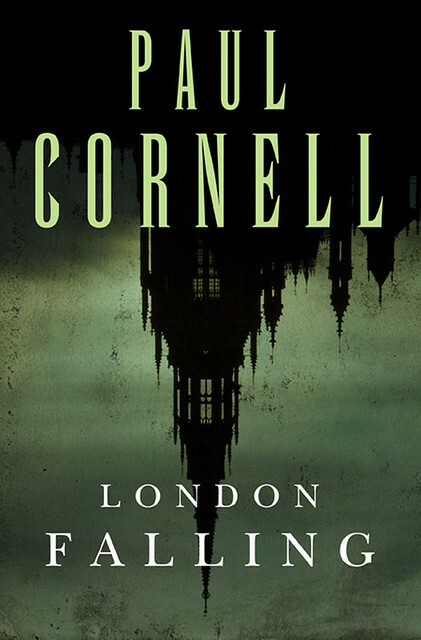 The answer: London Falling, Cornell’s latest adventure, which puts a pair of the city’s finest on a most unusual beat. And how do they approach it? As Cornell explains, by being what they are: Cops. London Falling is the story of a team of modern undercover police in London, who, in the pursuit of their duties, accidentally gain the ability to see the monsters and the magic of the conjoined cities. (Because London is actually made up of two cities, Westminster and The City. No, I mean in real life.) After my heroes finish panicking, they decide the only way to save themselves and those they love is to use (real) police tactics against what is now clearly a truly terrifying ‘suspect’. This is my first urban fantasy novel, the start of a series, and I like to think I’ve written it in the voice I used for my Doctor Who work. That is to say, these are stories I have to tell, that come bursting out of me. They’re emotional, and hopefully scary, and move along quite fast. I’ve written on Mary Robinette Kowal’s blog about how, while London Falling is very much an urban fantasy, it’s also a classic SF problem-solving novel in the tradition of editor John W. Campbell. My heroes, being police, use their Ops Board to take apart concepts like ‘ghosts’. They won’t settle for the mythic. I have a rational basis for the psychogeography of my London, which will become clearer in each volume in the series. And though this is a series, I’m determined that each book should be a complete story, that my heroes will close a case every time. Writing these books has made it clear to me that I have a tendency to see the world in terms of underlying forces. In my own life I track concepts like the gravity of capital, grace, the Marxist flow of history. Sometimes I overdo it, and become like a Roman or a paranoiac, seeing auspices and patterns when there’s nothing there. The London of my books is full of hidden influences, both real (like how the cities are shaped by planning permission and house prices) and invented, like the ‘extra boroughs’ that orbit the capital in some other sort of space. (At least one of these can be accessed by catching a ghost bus.) Add that to my heroes’ instincts to take apart everything they see, and you have a mechanism which makes me automatically examine both the world I created and the real one. It’s startling, actually, where the police procedural can take one in that regard. For instance, I have a scene set at a New Age Fair, where our heroes, new to the business of magic, go to work out what’s real and what isn’t. They have to navigate a series of different maps, economic, political, social and magical, all inside one hall. The bigger stalls at either end are where the magical power is, but that’s also because the richer stores can afford the bigger pitches. Those with actual knowledge tend towards poor and wear old clothes. And my two black undercover coppers discover there aren’t many non-Caucasians in this socio-economic group. This conflict between hidden forces grows even more tense in the second novel, which I’ve just finished, underlying the plot of which is the insistence of a part of the occult community that money (rather than terrifying ‘favours’) should be allowed in their transactions. These forces create the tectonic plates of hidden London. I can feel them myself at two particular points. If you’re in the capital, perhaps you could try them. Get out of Tottenham Court Road tube, and go to the point where St. Giles High Street meets High Holborn, with St. Giles in the Fields (that name says a lot) on your right. Before they built the new office blocks in front of you to the left, one could feel a weird dislocation at that point, as if planners and priests and magi had all failed to decide on something. It was like a little No Man’s Land on the way to Forbidden Planet, a place where things got a bit seedy just for fifty yards. Those new towers have balanced it somehow, but I can still just about feel it. A dowser might say it’s about buried rivers or underground rail tunnels. I don’t know what it’s about, unless the throne with the motto over it in that old church is relevant, but perhaps it’s all heading into psychoarchaeology now. The other location is in Baker Street underground station. Walk from the Bakerloo line down to the Eastbound Circle Line platform. You’ll find yourself, before you get to the war memorial on your right, moving faster as you head down an actual physical hill, with the rumples and lumps of a meadow, hardly obscured by the flooring. It’s like you’re suddenly, in the very heart of urbanity, being encouraged to rush down, like in childhood, or over the top, with the deaths of 1914-1918 waiting on the other side. I feel something startling there, too. The shafts of sunlight that can spring suddenly down into that station help with it. I should mention, finally, that there’s one word that doesn’t appear in the book: ‘magic’. My coppers and intelligence analyst just aren’t comfortable with it. And I thought it’d be fun, like with the word ‘Mafia’ in The Godfather, to see how far I could get without using it. Turns out that’s all the way. I hope you’ll enjoy London Falling, and that it might give you a few more things to see and feel next time you’re in London. Perhaps I should have talked more here about the characters, all of whom (particularly genius intelligence analyst Lisa Ross) are dear to me, all of whom we meet in depth. But character, like everything else, is shaped by landscape, and, just for once, I wanted to write about what lies underneath. Adieu, and thanks for listening. Read an excerpt. Visit the author’s site. Follow him on Twitter. I was surprised the word magic has not appeared to reading–and now I see that trend will continue. I also appreciate the very dogged police procedural way the quartet are handling their shift in perspective. Oh, I read this a couple weeks ago, and just LOVED it! I can’t wait for more. This is exactly the sort of thing I love: urban fantasy and police procedural rolled up in one. Almost done with the book now – it’s absolutely fantastic. I had the pleasure of meeting Paul Cornell at CONvergence last year. He’s a very enthusiastic and funny guy. I pre-ordered the book shortly afterward and it should be rocketing to my house sometime tomorrow. This book was already on my list, because I’ve enjoyed Paul’s work in Doctor Who–especially “Father’s Day,” which hit on some of my personal issues with my father’s too-young death and still, many viewings later, can reduce me to a puddle. More of that level of storytelling? Yes, please. Ths has been out for awhile here in the UK and I highly recommend it. If the author does any more with the same characters I’ll be buying. I can also recommend Ben Aaronovitch’s books, mentioned above by Beej. Another vote for Ben Aaronovitch’s books (what is it about former Doctor Who writers and supernatural London cop type things?). But if you haven’t yet read them, get the Audible versions – *wonderful* readings that will convert you to audiobooks if you aren’t yet convinced. I spend more money reading this website…just got this one and the Aaronovitch one recommended! 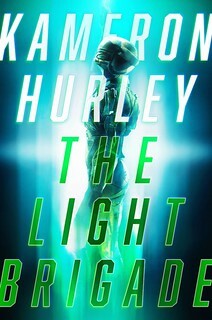 As soon as I read the synopsis, heck as soon as I saw that London was in the title ,this book went to my TBR list. it hits all of my Squee! buttons. London-check, magic- check, cops-check. I’m very much looking forward to reading this. I see Ben Aaronovitch has already been rec’ed, so I’ll recommend any of Kate Griffin’s magical London series ( she has two) and Sara Pinborough’s A Matter of Blood, which is out now. I pre-ordered London Falling and this morning it downloaded onto my Nook, so guess what I’ll be starting tonight. This is going on the list, it sounds incredible. I swear the Big Idea posts exist to part me from my money… but oddly, I don’t mind. Ah, but Paul hasn’t answered the all important question; which police force do his protagonists belong to? If London, magic and cops is your thing, you must try China Mievilles ‘Kraken’, has all three in huge amounts, loads of fun ideas too. But will check this one out for sure too. Try Benedict Jacka’s Ales Verus novels as well. More fantasy in the urban, and not police oriented, but still pretty awesome. I know both the points Paul describes, and yes, something unsettling happens as you move through them. St Giles in particular always seems to throbs with a kind of dislocated misery – and did long before I discovered it was the location of Hogarth’s Gin Lane. White Horse Street, a turning off Piccadilly, is another, where the twilight of a long long dead afternoon seems to linger for a few yards. Thanks very much, everyone. I second the recommendations for Ben and Sarah’s books. My coppers are in the Met. And it’s good to hear someone else commenting on the psychogeography of London. 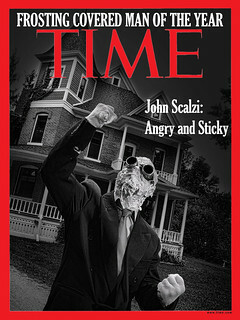 Many thanks to John for letting me post here, by the way. Well, there’s a City of London police force that just handles the Square Mile, and the Metropolitan Police which handles everything else in London. I’ll be reading this one. I too glom onto Ben Aaronovitch’s series. I have read some of Kate Griffin’s. Thanks everyone for the other recommendations. I’ll be taking a look at all of them. It is a really nice work. The detectives work as people, whose backgrounds and motivations are slowly exposed. The undercurrents in the city feel real. In some way parts of the work reminded me of Pratchett. The way crowd energy is described, the way the city has a spirit of its own, the way people try to hang on to the comfort of their job while their world is crumbling. I’m not normally a big fantasy or urban fantasy kind of guy (more into sci-fi/space opera/cyberpunky stuff), but this sounds very cool. I think I’ll give it a shot after I finish up the gigantic bullet-stopper that is Great North Road (which also features sci-fi plus police procedural elements). Besides that and my love of mixing a detective yarn with more exotic elements like Jack McDevitt’s books for example, I suppose I’m falling deeper into the rabbit hole of sci-fi/fantasy/mystery reading. Who doesn’t love a good mystery though? Spiced up with some exotic otherworldy elements too… sounds like more good reading for me.